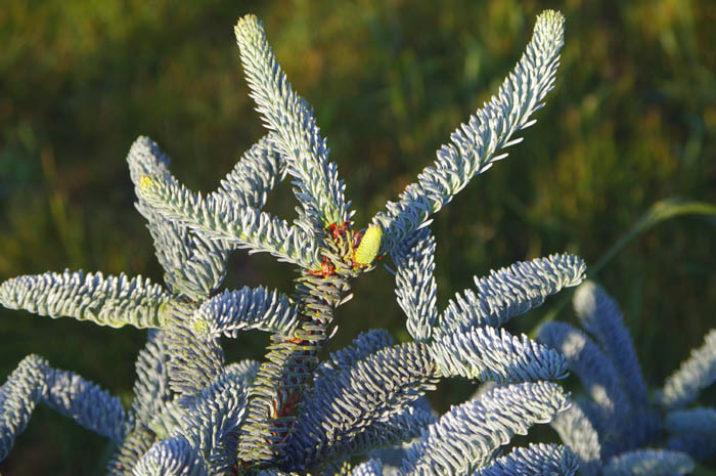 Abies procera 'Glauca' is one of the more elegant firs, this steely-Blue cultivar is a slow starter when young but after a few years will show moderate growth eventually achieving 65 feet (20m) in height with a pyramidal, upright habit. 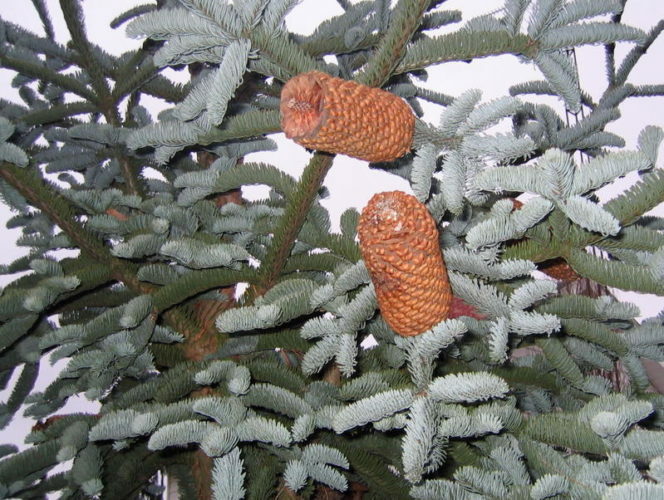 Produces eye-catching upright Blue cones which turn brown with age. 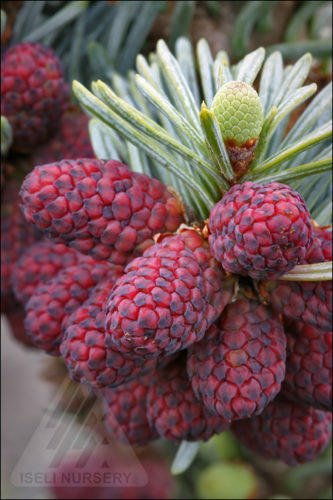 Abies procera</em cones photographed at Gee Farms display nursery, Stockbridge, MI, 2007.